Switzerland delivered significantly less gold abroad last month than a year ago. With one prominent exception: gold exports to China rose by 59 percent. 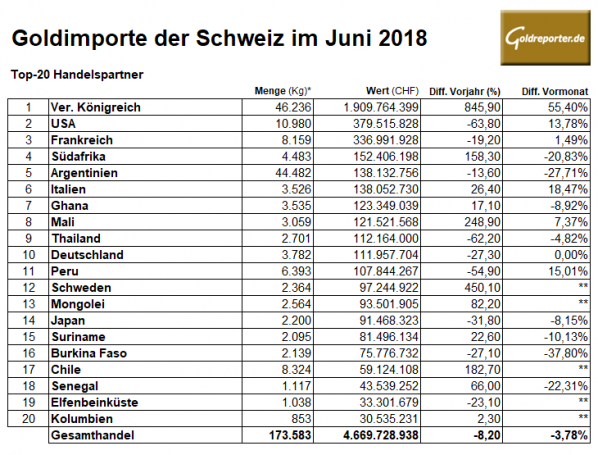 The Swiss Federal Customs Administration (FCA) has published the foreign trade figures for Switzerland for the month of June. Accordingly, a total of 117.57 tonnes of gold worth 4,850.60 million Swiss francs were delivered abroad last month. Compared to the previous month, there was a slight increase of 0.59 percent. 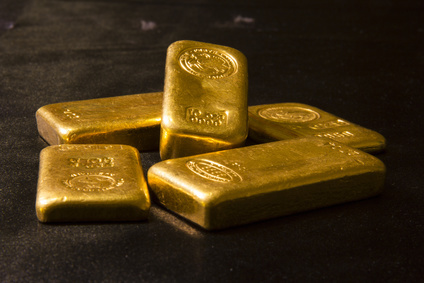 Compared to the previous year, Swiss gold exports fell by 23 percent. However, deliveries to China increased significantly. China received 61.3 tons of gold in June – 59 percent more each than in the previous month and previous year. India received just under 19 tons, an increase of around 21 percent over the previous month. Compared to June 2017, India received 27 percent less gold. 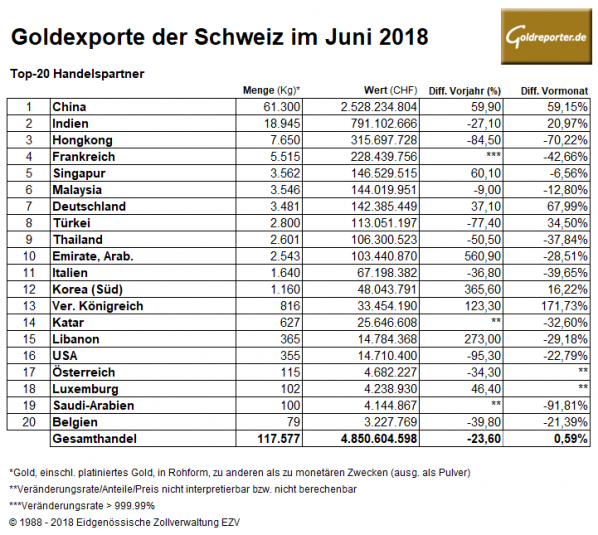 At 173.58 tonnes (CHF 4,669.72 million), gold imports into Switzerland were almost 4 percent below the previous month and around 8 percent below the previous year. Here most of the gold came from Great Britain. 46 tons were delivered. The USA exported 10.98 tonnes of gold to Switzerland. Large quantities of low-grade gold came in from Argentina. It was just over 44 tons.